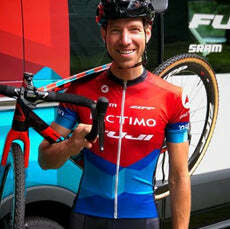 PACTIMO IS PROUD TO SPONSOR JEREMY POWERS FOR THE 2018-19 CYCLOCROSS SEASON. Jeremy Powers is not only a 4x National Champion and one of the top-ranked American cyclists in the world, he's a dedicated ambassador to our sport. Pactimo is thrilled to be his title sponsor as he attempts to win a 5th national title. Jeremy's planned schedule includes RenoCross, World Cup Waterloo, Jingle Cross World Cup, and other select UCI races like the GP Gloucester. His clear goal is the top of the podium at US Nationals in Louisville. HERE'S YOUR CHANCE TO OWN THE SAME KIT JEREMY WILL BE WEARING THIS SEASON.